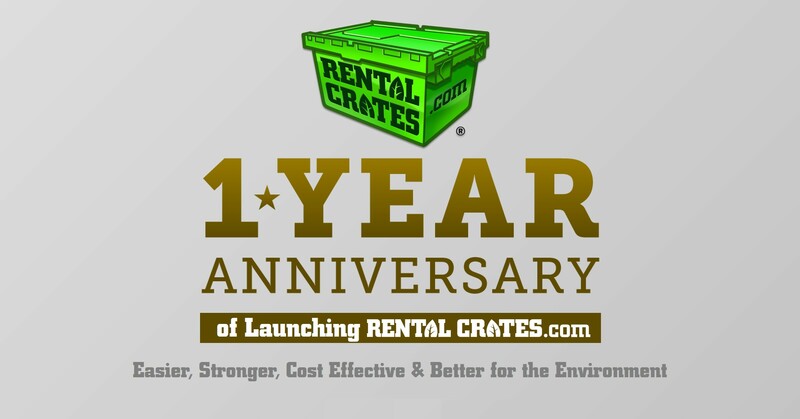 Rental Crates.com is proud to announce our 1 Year Anniversary! We are excited to have helped so many people move their homes and offices with reusable plastic moving boxes. We look forward to continue helping those looking to save time, money, stress, and the environment when planning their upcoming moves. Rental Crates.com was launched in October 2017. Over the past year we have had many great milestones that have benefited us and our customers alike. Here are some of highlights and accomplishments we have celebrated over our first year of business. We Have Received Many Positive Reviews and Great Feedback To Help Improve Our Product and Services. We Added Rental Dish and Glassware Partitions to Our Moving Supplies to Make Packing Even Easier. And Most Importantly, We Have Had The Opportunity To Meet Many Great People and Help Them Save Time, Money, and Stress During Their Moves While Being Better for The Environment Than Cardboard Boxes! Experience The Rental Crates Difference and Order Your Plastic Moving Box Rental Today!